World of Warcraft’s got its latest raid today. After last year’s raid, Uldir, Battle for Azeroth’s next set of challenges switches up the formula somewhat. While Horde and Alliance players would traditionally play through the same raid, Battle of Dazar’alor tasks players with fighting down different paths. The backdrop to the raid is that the Alliance is attacking the troll kingdom of Dazar’alor, while the Horde is trying to defend it. That means that raid bosses will be attempted in different orders depending on which side of the conflict you fall on, and in some cases there’ll be different enemies to take on. The first stage of the raid will task each faction with defeating a Champion of the Light. After that, the Horde will move on to Grong, who appears to be some sort of super strong mutated troll, while the Alliance will take on the Jadefire masters, before each side swaps around. From there, however, things get a just a little more complicated, featuring some kind of ‘flashback’ mechanic. The Alliance will play their first six bosses in order, finishing with King Rastakhan (of current Hearthstone fame), before travelling back to ‘see’ the Horde do their three next three bosses. One of those, Mekkatorque, is supposed to be completely insane, but the biggest challenge will be Alliance Lord Admiral Jaina Proudmore. Related: Raid recruiting is proving tricking in Battle for Azeroth, causing some guild leaders to take to Tinder. 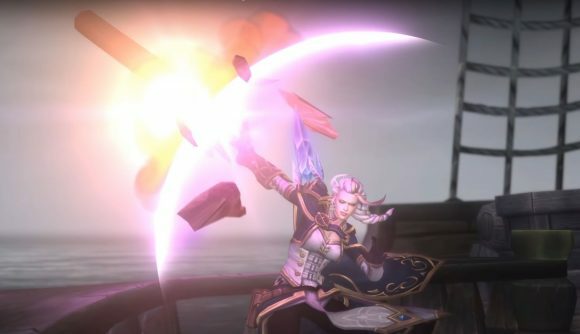 The Horde will have to do things in a different order, completing their bosses, getting their ‘flashback’ to the Alliance’s experiences, and then finishing off the raid by taking on Jaina. There are some mechanical differences between the raids, and those different orders could have significant implications for the world first race, which was particularly close during last year’s Uldir raid. Normal and Heroic difficulties are open today, while the real challenge won’t begin until next week – the Mythic Raid open on January 29 in North America, and January 30 in Europe.